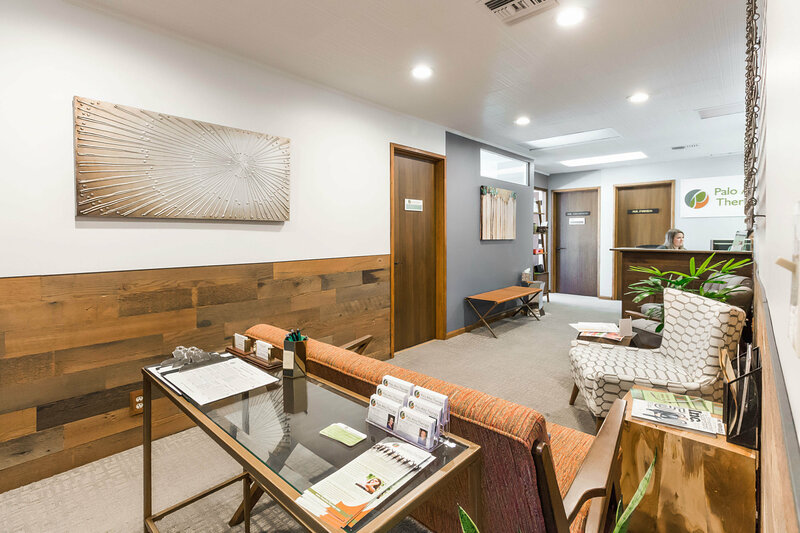 Palo Alto Therapy (now in San Jose and Palo Alto) is a growing, high-end counseling center that is dedicated to providing quality mental & behavioral health services to those who are struggling with anxiety and depression problems. We also focus on providing excellent support and training to our therapists. We specialize in helping our clients (children through adults) overcome panic, social anxiety, worry, OCD, depression, among many other emotional difficulties, using evidence based therapy, with a focus on Cognitive Behavioral Therapy. A licensed therapist (LCSW, LMFT, LPCC, PhD, PsyD) is needed, part-time (15 hours minimum) or full time (30-40 hours a week) and 2 evenings a week and Saturdays are generally required for full time. Your time will be in our San Jose or Palo Alto location (or shared) with one consultation meeting a week in our San Jose office. Perfect position for a Marriage and Family Therapist (LMFT), Clinical Social Worker (LCSW), Licensed Professional Counselor, or Psychologist (PhD or PsyD). Interns with solid training in CBT and evidence-based therapy are also welcome to apply. Experience providing (or strong motivation to learn) evidenced based and Cognitive Behavioral Psychotherapy/counseling to children/teens/parents/couples or adults with anxiety and depression problems and a solid understanding of these methods. Willingness & motivation to stay on top of the latest research and evidence based methods through regular training and consultation. Desire to develop a career with Palo Alto Therapy and contribute to our TEAM! Passionate about providing exceptional therapy to high functioning clients in a supportive, kind, and focused manner. AND we've created an environment and culture where the lion's share of your time is spent doing exactly what you love. . . DOING THERAPY! Compensation ranges from $65-$100 an hour, equivalent to $55,000-$145,000 a year depending on experience, training, and part time vs. full time. Employees are hired based solely on Palo Alto Therapy personnel requirements and the qualifications of each individual candidate. We will not tolerate nor condone discrimination due to age, race, color, religion, gender, national origin or disability. We will comply with the spirit and letter of all local, state and federal laws pertaining to employment. Furthermore, we will not discriminate due to age, race, color, religion, gender, national origin or disability when making decisions regarding termination of employees. All employment at Palo Alto Therapy is considered to be “at will” in accordance with employment laws of California.